Let's face it: almost everyone fears growing older. We worry about losing our looks, our health, our jobs, our self-esteem - and being supplanted in work and love by younger people. It feels like the natural, inevitable consequence of the passing years, but what if it's not? What if nearly everything that we think of as the 'natural' process of aging is anything but? 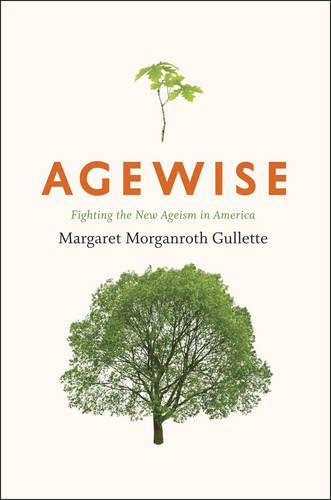 In "Agewise", renowned cultural critic Margaret Morganroth Gullette reveals that much of what we dread about aging is actually the result of ageism - which we can, and should, battle as strongly as we do racism, sexism, and other forms of bigotry. Drawing on provocative and under-reported evidence from biomedicine, literature, economics, and personal stories, Gullette probes the ageism that drives discontent with our bodies, our selves, and our accomplishments - and makes us easy prey for marketers who want to sell us an illusory vision of youthful perfection. Even worse, rampant ageism causes society to discount, and at times completely discard, the wisdom and experience acquired by people over the course of adulthood. The costs - both collective and personal - of this culture of decline are almost incalculable, diminishing our workforce, robbing younger people of hope for a decent later life, and eroding the satisfactions and sense of productivity that should animate our later years. Once we open our eyes to the pervasiveness of ageism, however, we can begin to fight it - and Gullette lays out ambitious plans for the whole life course, from teaching children anti-ageism to fortifying the social safety nets, and thus finally making possible the real pleasures and opportunities promised by the new longevity. A bracing, controversial call to arms, "Agewise" will surprise, enlighten, and, perhaps most important, bring hope to readers of all ages.